An umami parade of flavors from many countries, the magic of the Jazz Chef’s Ragoût Thiam features complex meatballs, infused with a hint of umami-savory, not sweet, mint, and peanut flour/powder, simmered in a hugely flavorful tomato and okra base, finished with expeller-pressed peanut oil and served on a bed of couscous. 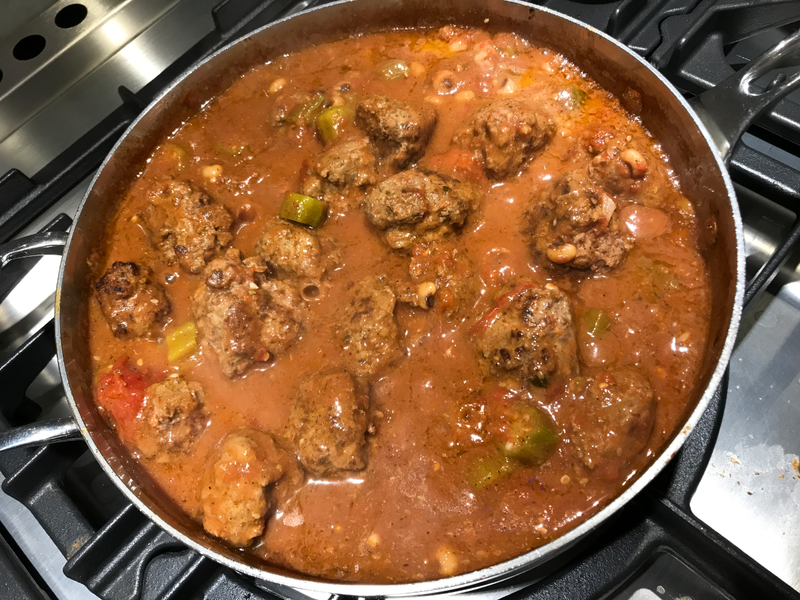 It’s a little Italian Sunday Gravy twist, diving into my aromata to grab some assists from my Indian, Turkish and Arabic spice bases. North Americans dump Ragoûts, or their Italian cousins, Ragu, largely into the broader category of stews. 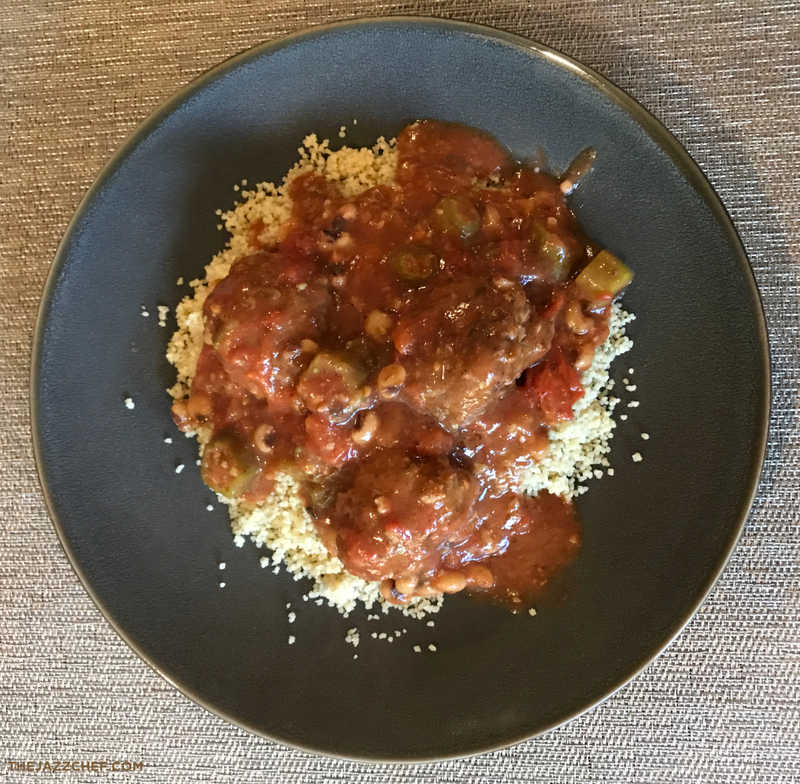 The term comes from the French verb ragoûter, which means: “To revive the taste.” This is because a lot of the meats that find their way into a ragoût are already cooked, often boiled for stock, or another flavor-sucking form that leaves the meat in need of a little “encouragement.” Bet you thought “ragu” was just a brand of spaghetti sauce! Truly, even though ground beef, and sometimes smaller stew scraps, are “first pass,” they are so devoid of flavor or character that they too, could use a little ragoût style to their preparation. A ragoût is all about the seasoning, which, for the improvisational chef, is what a blank canvas was to Matisse. 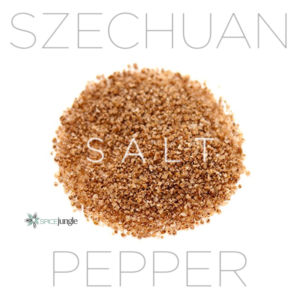 Highly seasoned, and nuanced, they offer waves of taste sensations, textures, and content smiles, when done properly. 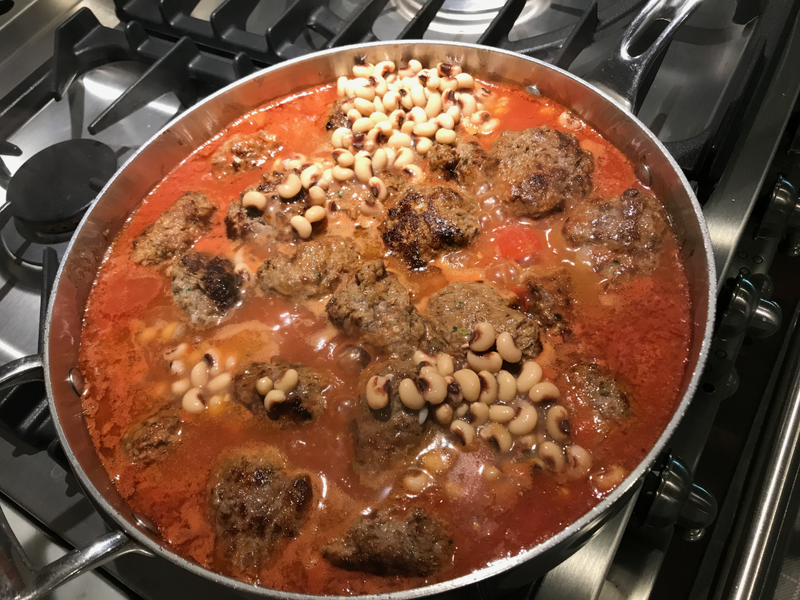 Ours is going to be rich with umami, peanuts tomato, and the mouthfeel from textures of kale, black-eyed peas, and okra, in my tribute to a chef-hero, Pierre Thiam. 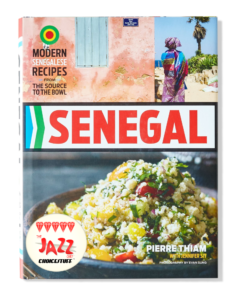 This dish pays homage to my hurricane Irma read, chef Pierre Thiam’s wonderful book, Senegal: Modern Senaglese Recipes from the Source to the Bowl. The cuisine of Africa is amazingly diverse. Thousands of tribes, dozens of peoples, with access to unique regional foodstuffs, abundances, scarcities, created a cornucopia of cuisine long before, along with colonial occupation, Europeans arrived, enforcing their principles of cooking. Sadly, much of African cuisine has been lost to that “lesser than” thinking, that their approach to food is not as elegant, or as worthwhile. It is only within the last decade or so that the traditions are making a comeback. So let’s FUNK IT UP! SAVORY MINT? DON’T BE A HERB HATER. Don’t be like that. Don’t be a herb hater. 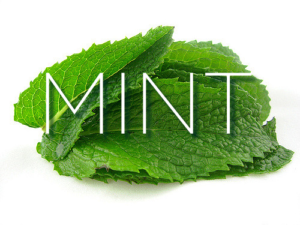 If mint had a theme song, it would be: “Please Don’t Let Me Be Misunderstood.” Throughout much of North America and Europe, it is a herb shackled to sweets, bound to beverages. 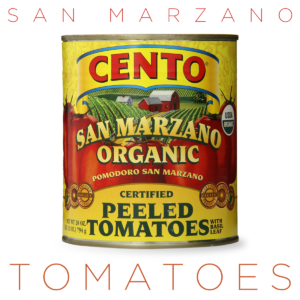 Its savory qualities rival those of basil, thyme, or oregano, and it is the perfect herb for umami cooking. 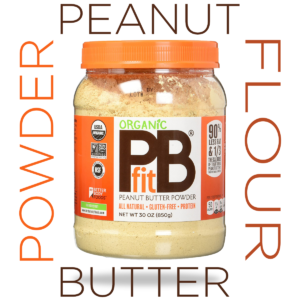 Likewise peanut flour (powder), which has found its way into North American and European stores for smoothies and as a supplement, is a culinary powerhouse, as long as you have no peanut allergies. 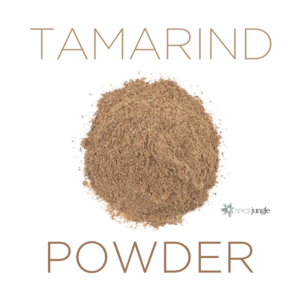 The flour/powder gives us big peanut flavor, and a great source of protein, with most of the fat from the oil stripped away. Unlike peanut butter, you can control how much oil, and when it is added, improving both the flavor and the calorie count! 4-6 (Four to Six) People. 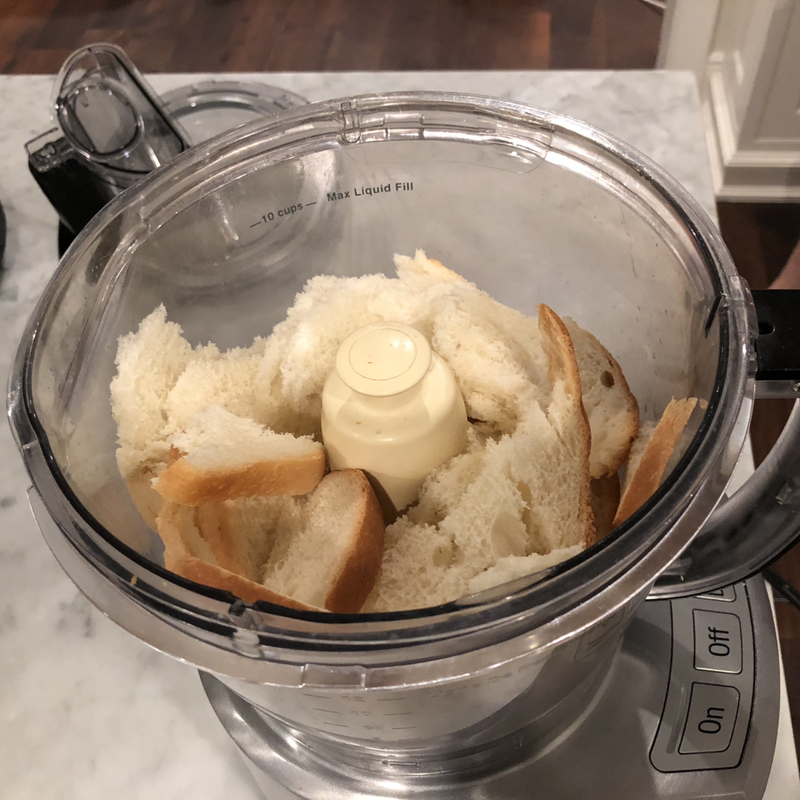 1/4 cup fresh breadcrumbs 1”-2” off a loaf or approx 3 slices of bread. 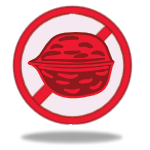 If you are allergic to peanuts, or nuts in general, probably best to take a pass on this recipe. It’s very very peanut dependent. Can work with other nuts, like pistachio or cashew, if you are not allergic to all nut meats, but the flavor is different. Add the wet and dry meatball ingredients to the breadcrumbs. Pulse until fully integrated and aerated. Set aside. 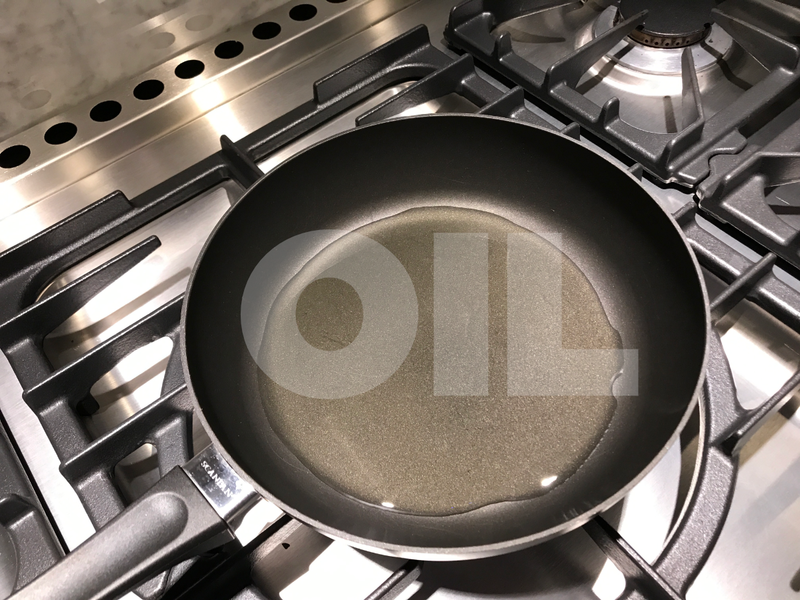 In a 10-12″ fry pan, heat the avocado oil to 300°F /150°c. Use a digital thermometer to check. 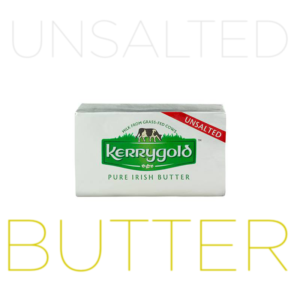 Do not use supermarket blend vegetable oils or canola oil as they can affect the taste. Use avocado oil or expeller pressed peanut oil at 280°F / 138°c, if it is unavailable. (Click the link to learn more about why avocado oil should be your go-to oil.). 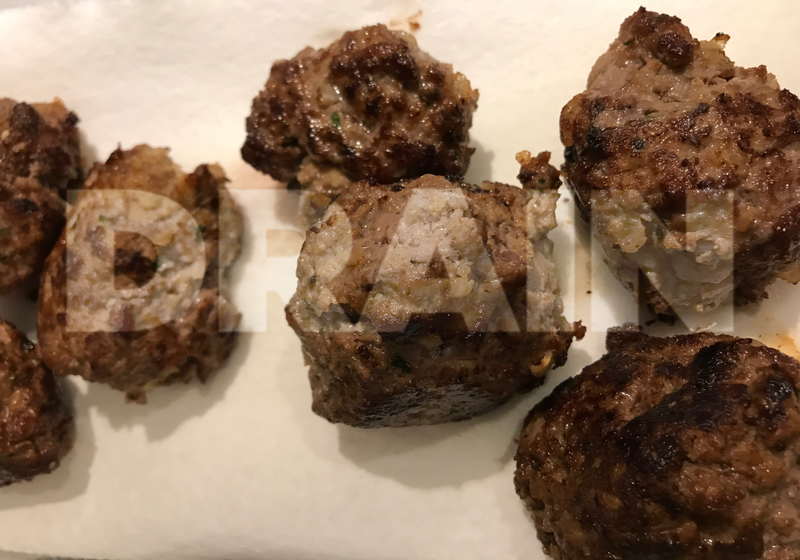 Set out some paper towels to drain the cooked meatballs in a place within easy reach of your range-top. Remove the center stems of your kale and mustard greens and pulse-chop in the food processor until they’re about 1/4″ to 1/2″ (6mm to 1.2 cm). Put in a work bowl and set aside. Bring your work bowl with the meat mix close to the fry pan. To make the meatballs, you may need a bowl with some water, if there isn’t a sink with running water handy. A good idea to wet your hands between meatballs as that’s your “nonstick” coating. Wet your hands, and pull together a meatball from the meat mixture about 2″, a golf-ball and a half. Roll in the palms of your wet hands until it’s solid, with no gaps or breaks. Place into the hot oil and fry, turning with tongs, not applying too much pressure. Cook until browned on all sides of the ball. Add the meatballs and roll them in the sauce. Let the heat come back up. Add the black-eyed peas. Stir gently. 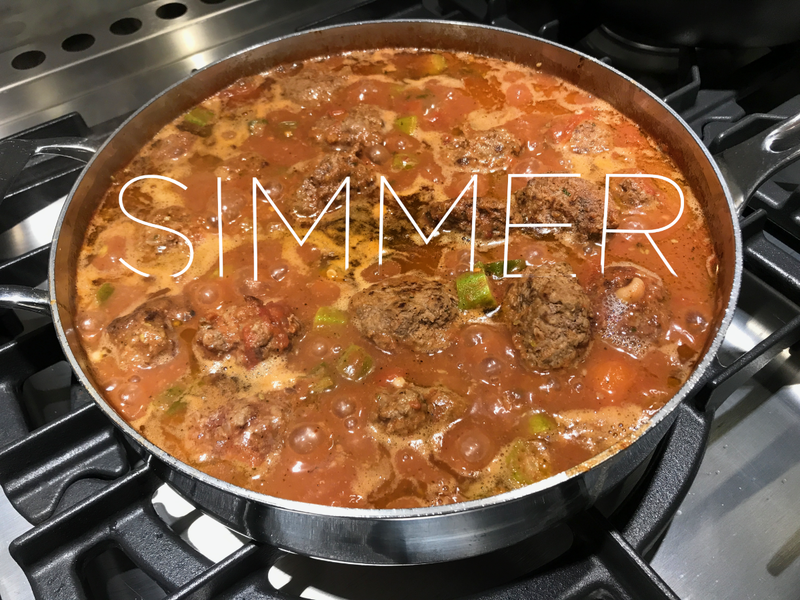 Bring back up to a low simmer. 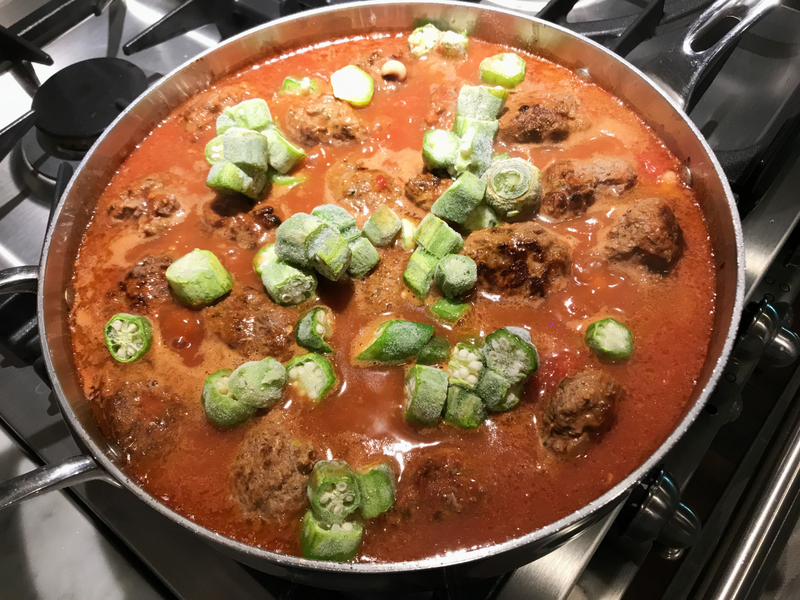 Add the frozen okra, and bring back up to a simmer. Add the kale, and simmer for approx 10-12 minutes to let the flavors from the ragout and the meatballs interact, and the kale to soften. Stir to avoid burning, but don’t overdo it. The flavors will find each other! Chop peanuts for the topping. Set aside. 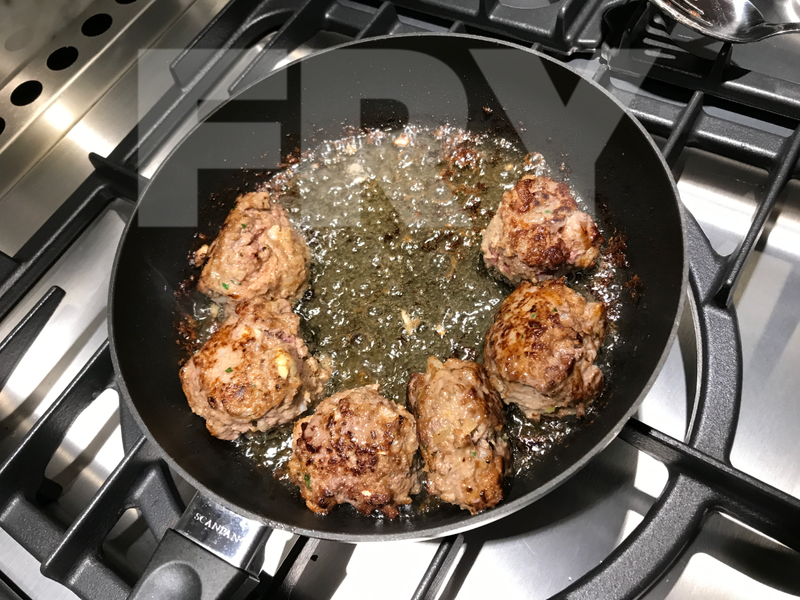 The ragout is finished when the meatballs have that coated sheen to them. Turn off the heat. Add the expeller (first) pressed peanut oil and stir to kick up the flavor. 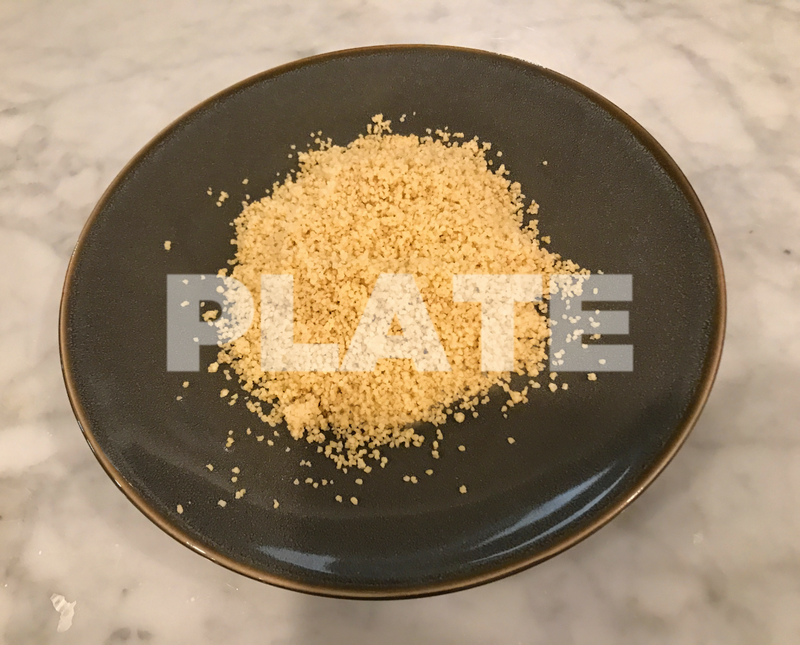 Plate the couscous. 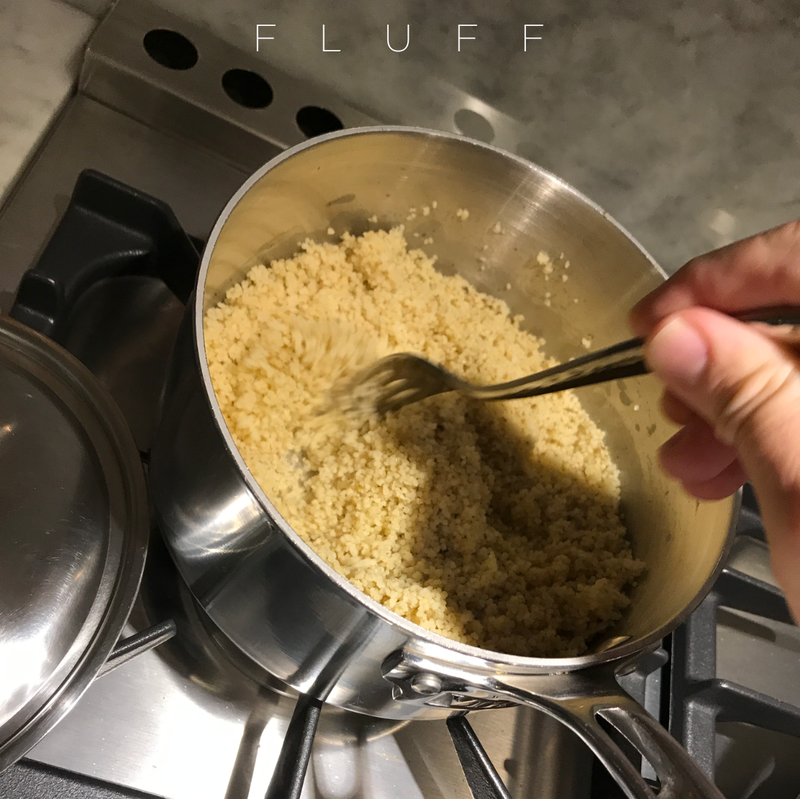 You can spoon it on, but if it’s clumpy after fluffing it, you may want to grab a handful with a clean hand or two and gently rub between them to sprinkle it on to the plate which opens it up and keeps it light. I sprinkle a little extra za’atar on mine. 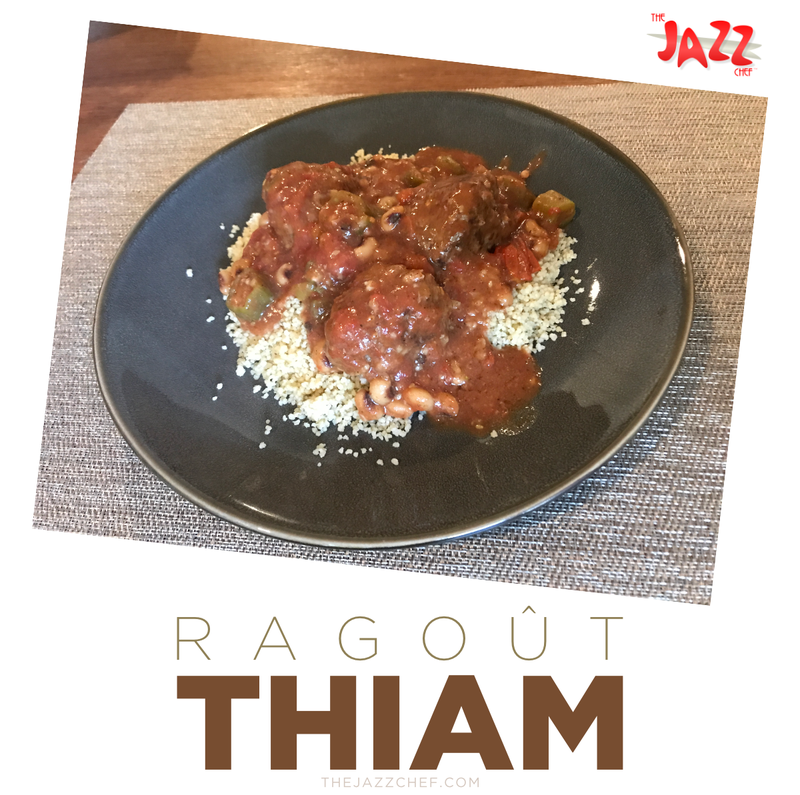 Plate the ragoût on top, starting from the center and working your way to the outside of the couscous. Sprinkle with crushed peanuts and za’atar. Serve.